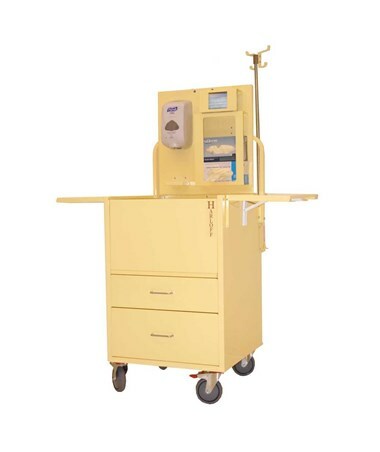 Harloff's Standard Open Well Isolation Cart is designed to keep hospitals as clean and sterile as possible with its patent-pending isolation station design. 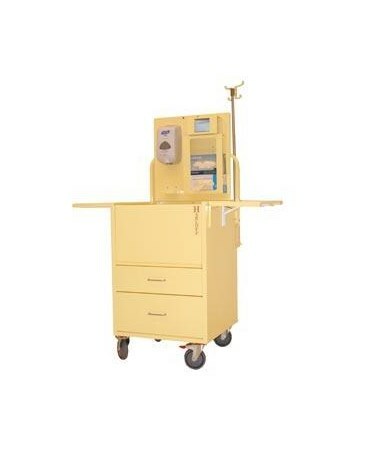 By stopping the spread of MRSAs, VREs and other infectious microbes, Harloff isolation carts not only help patients recover more quickly but also save hospitals millions of dollars. This painted steel cabinet uses Silver Ion Paint coating with antimicrobial properties and a hard baked finish for sterility and durability. 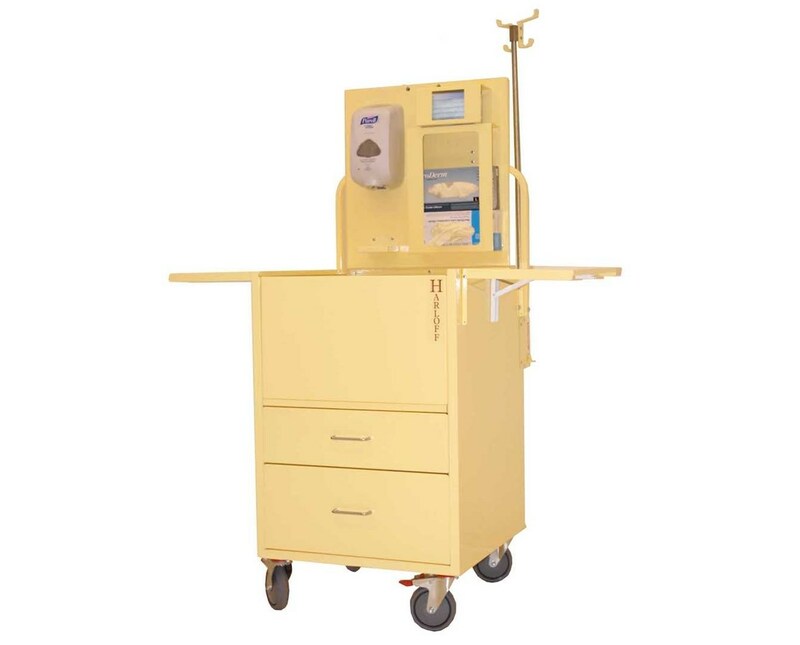 With its unique open well design (which provides visual storage of isolation supplies), any hospital would benefit from this cart. The well lid can be latched open, and there's also a built-in glove box holder (holds up to 3 glove boxes) and dual folding side shelves with quick-release latches provide a workspace no matter what side you're on. Topping off the wide range of functionality of this cart is an adjustable coat rack and an area for hand sanitizer or soap dispenser. Driving the cart are 5" full swivel ball bearing premium rubber casters, 1 with toe-locking brake and 1 directional. Two drawers - 1 6" and 1 9" - compliment the 13" H open well and operate on ball bearing full extension slides. The cart comes in Cream Yellow color and is delivered fully assembled. Order online direct by clicking "add to cart!" Number and Size of Drawers (1) 6", (1) 9"